New Year’s Eve has come and gone so I finally feel like I can go all out with the next holiday- Valentine’s Day! 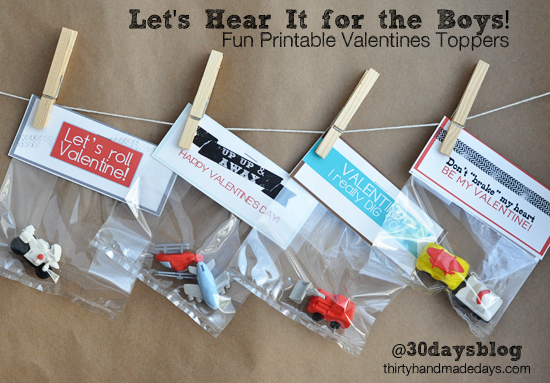 If you’ve read 30days for more than a year, you know that Valentine’s is one of my favorites. I have loads of ideas I’ve shared in the past but I’m chomping at the bit to share more! 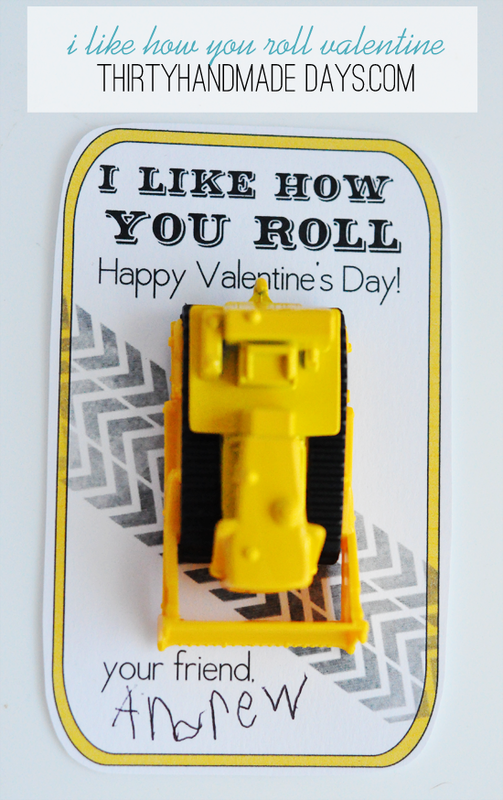 Today’s idea is ridiculously simple but I am asked to make stuff for BOYS a lot. These would work for both boys or girls but aren’t ooey gooey and lovey dovey. I recently went to Target and visited the Dollar Spot (why oh why is that spot so hard to resist!?). I filled my cart full with red and pink but I also found some cute non-mushy things like these pencils. I know, I know they’ve been done a million times. Yawn yawn. I saw this set and another one (more ideas coming soon)….they were just begging to be made for classroom gifts. I got to work and whipped up some animal style pencil toppers. So. There are a few ways you could use these- I went for the simple route. I cut out my designs and attached with cute washi tape on the back. You could if you really wanted to go the extra mile, get out a pair of scissors or an Exacto knife to cut slits and slide the pencils through. But that’s something YOU would have to do, not your kids. I think, why spend the extra time when your kids could help you with washi tape and they are just as cute. To each their own though. I won’t be mad at you if you feel the need to cut slits instead. 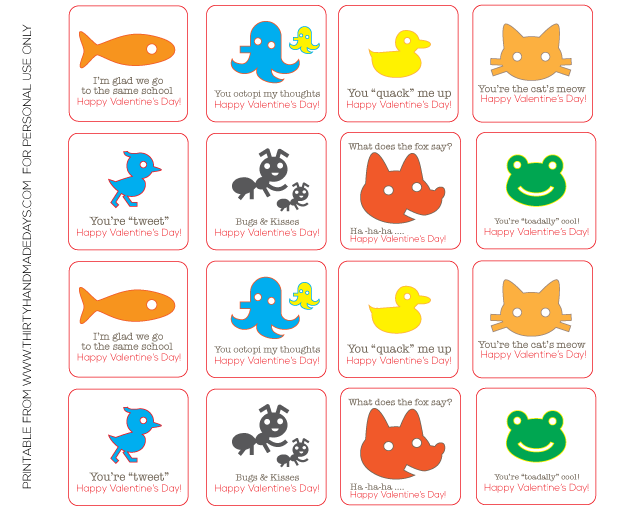 Download Valentine’s Day Pencil Toppers. For personal use only. Thanks! Hi, thanks for sharing this cute idea. 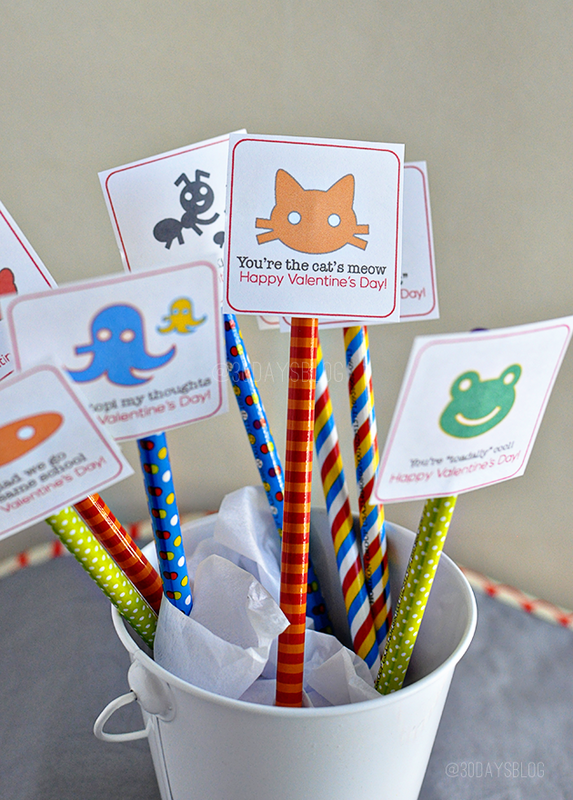 I plan on using the pencil toppers from my son’s K class. Just the cutest my sweet friend!! What a cute idea Mique! 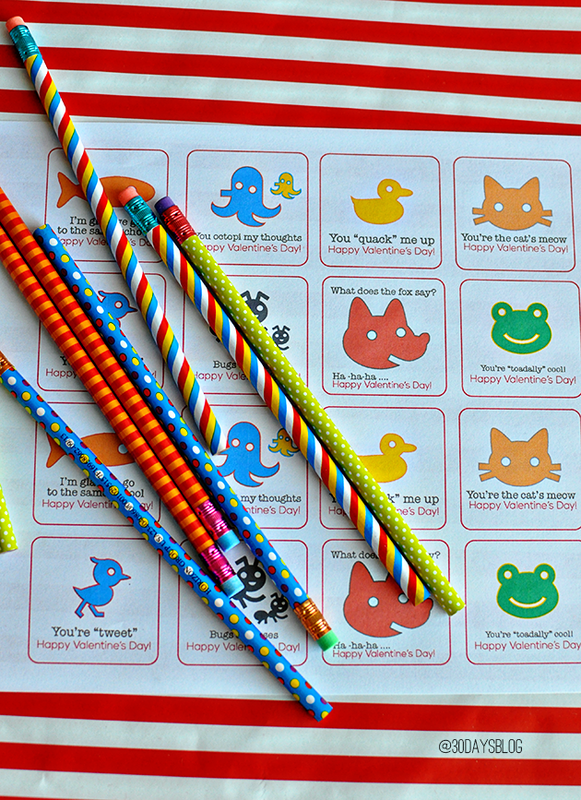 Cute pencils too! So cute! 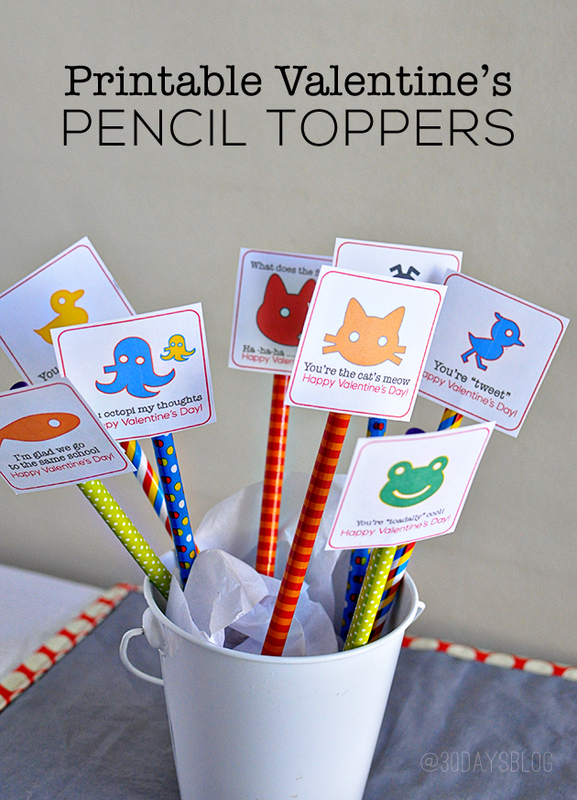 Love the pencil topper idea. You are just a printable machine girl!